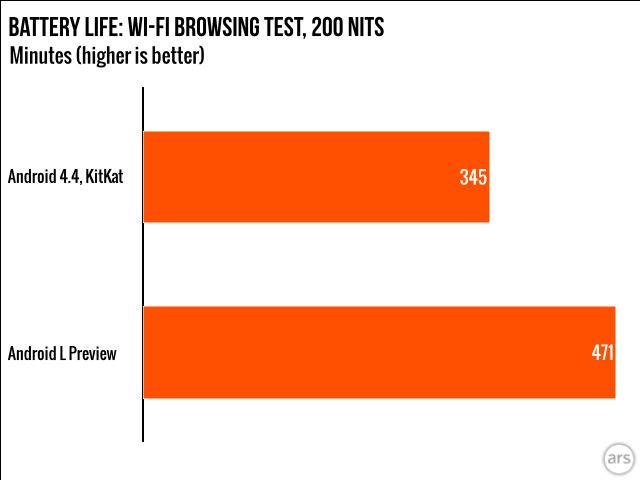 For the process, Ars used a single device, flashed to 4.4.4, signed in, updated apps, charged up, and ran the test (which keeps the screen on and automatically loads a webpage over Wi-Fi every 15 seconds until the battery dies). Then they flashed the same device to the L preview. After performing the test twice each, they took the average and shared their results. The improvements stem from a number of areas, including a new "JobScheduler" API that allows Android to lump together certain background requests that would otherwise individually wake up the processor. 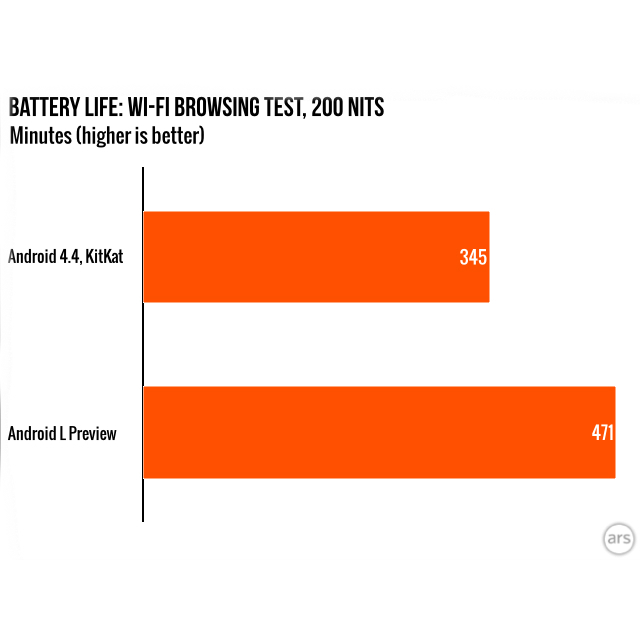 L also uses the ART runtime rather than Dalvik, which is generally easier on the battery. For more details, hit up the source link below.